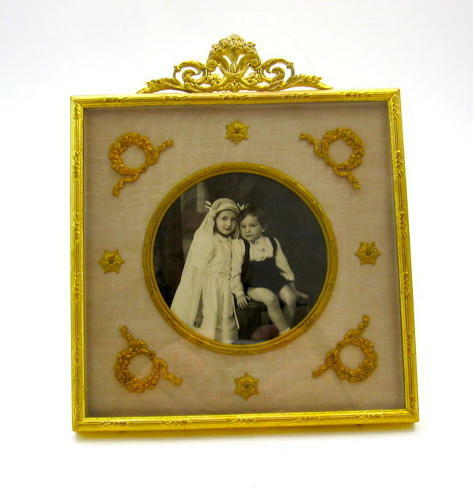 Antique French Empire Cream Silk and Dore Bronze Frame with Classical Motifs. Fine Dore Bronze Garlands and Flowers. Easel Stand and Cream Moire Silk.